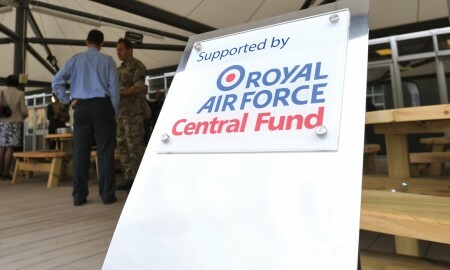 Sqn Ldr Mike Place of RAF Brize Norton contacted Keep It Kool explaining they had an area adjacent to their Sky Bar that they wanted to redevelop. 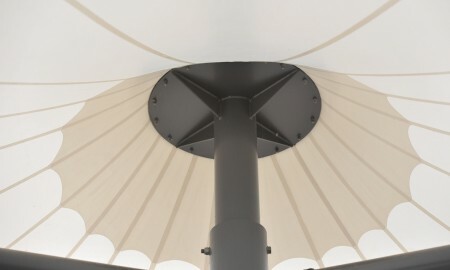 A proposal for 4 No BXTS/PAR/L/8 tensile structures which included a visual was submitted which Mike used as his submission to apply for funding from the Central Funds. 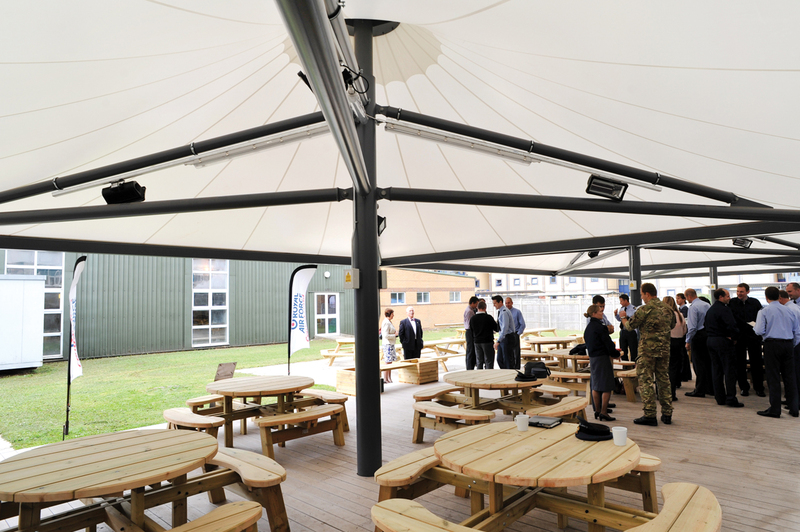 Later Sqn Ldr Mike Place received notification that he had been successful in securing the funding and instructed Keep It Kool to manufacture and install the 4 structures. 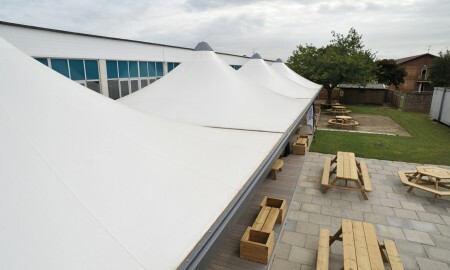 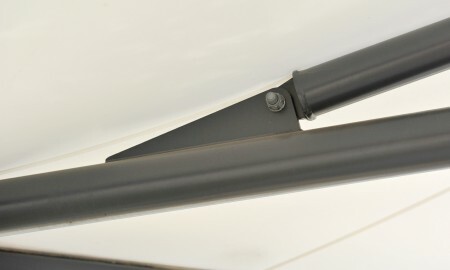 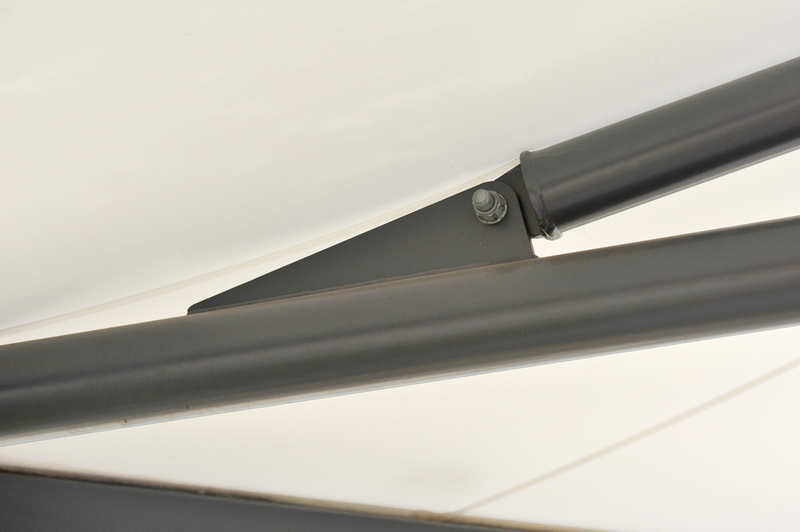 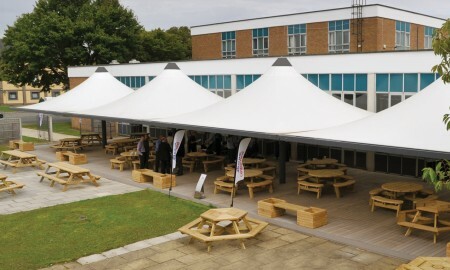 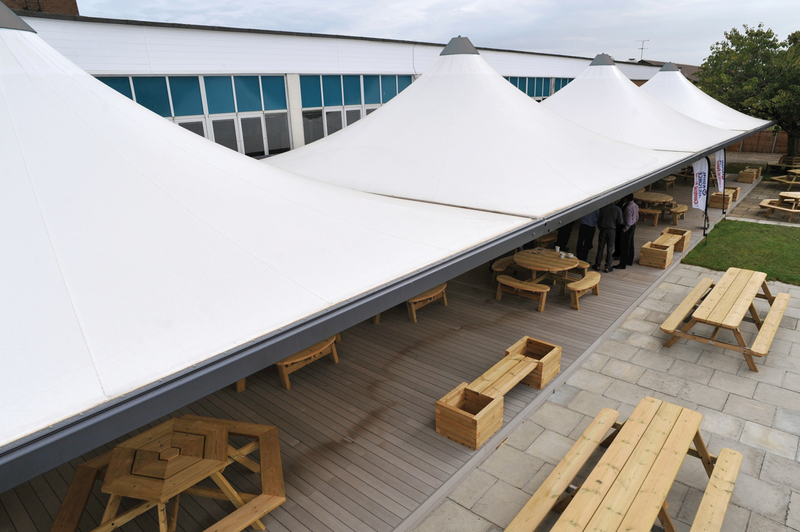 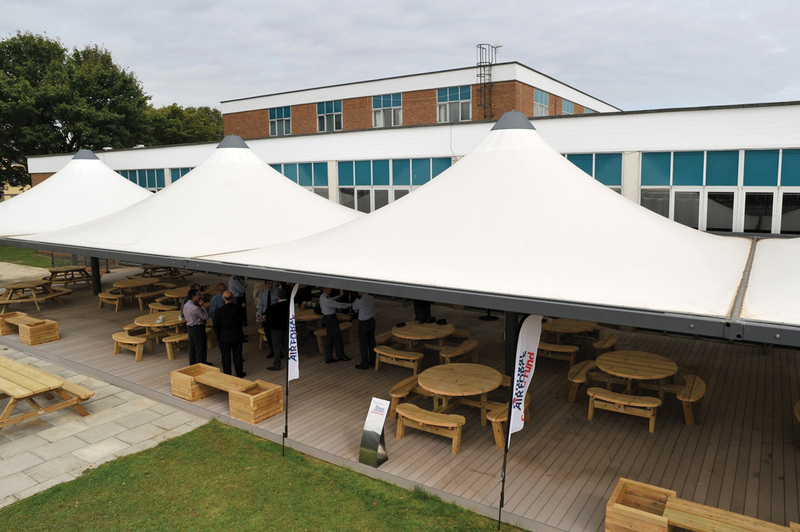 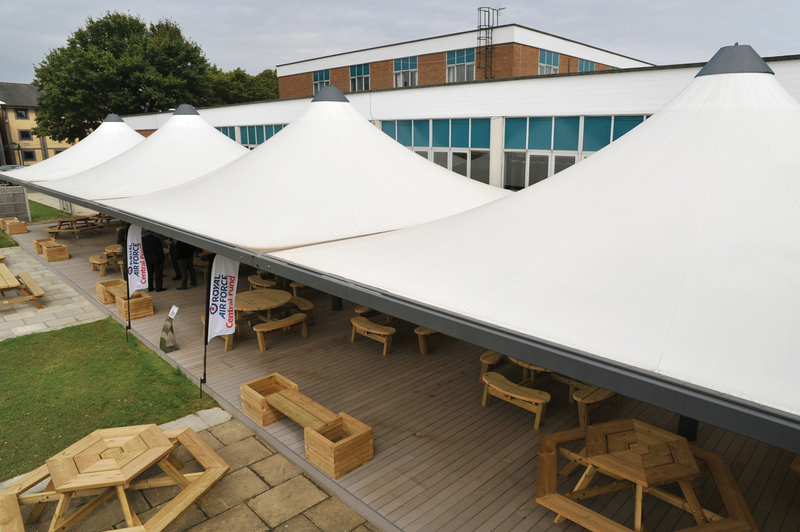 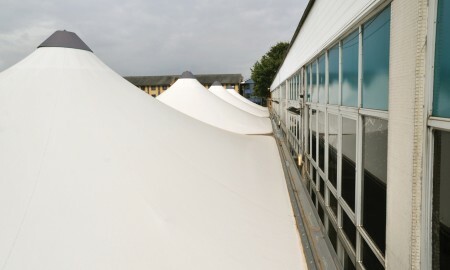 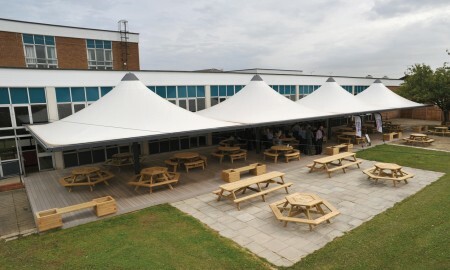 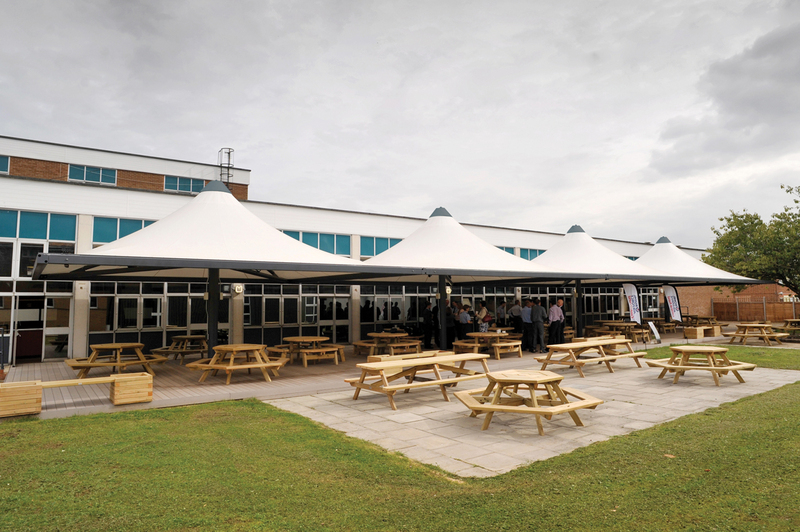 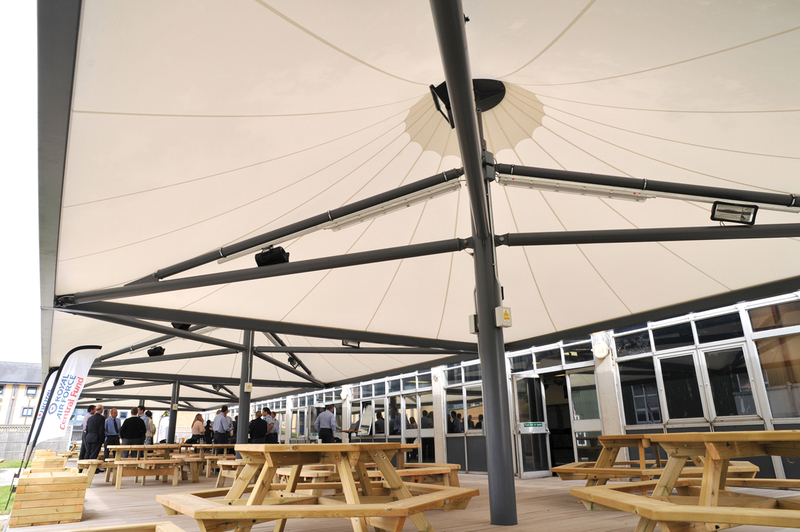 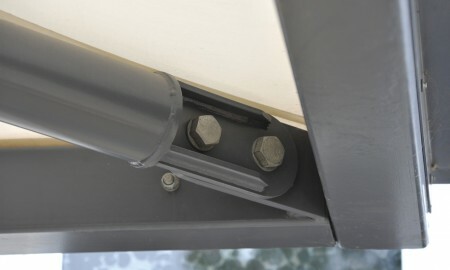 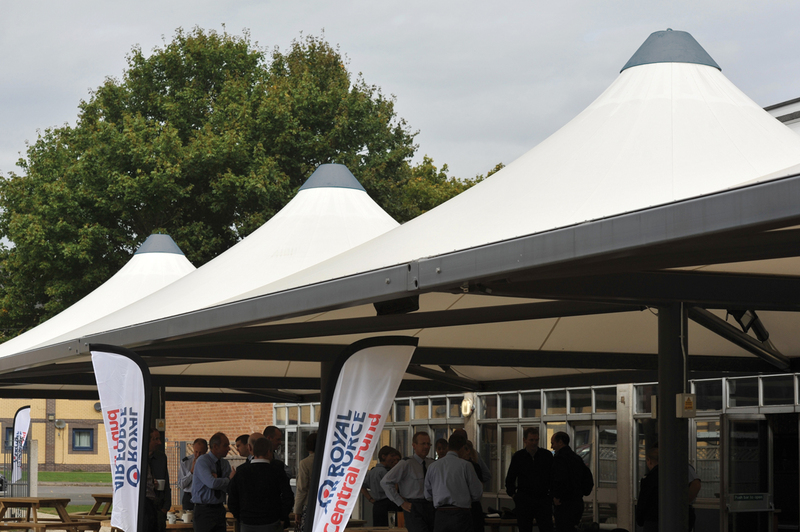 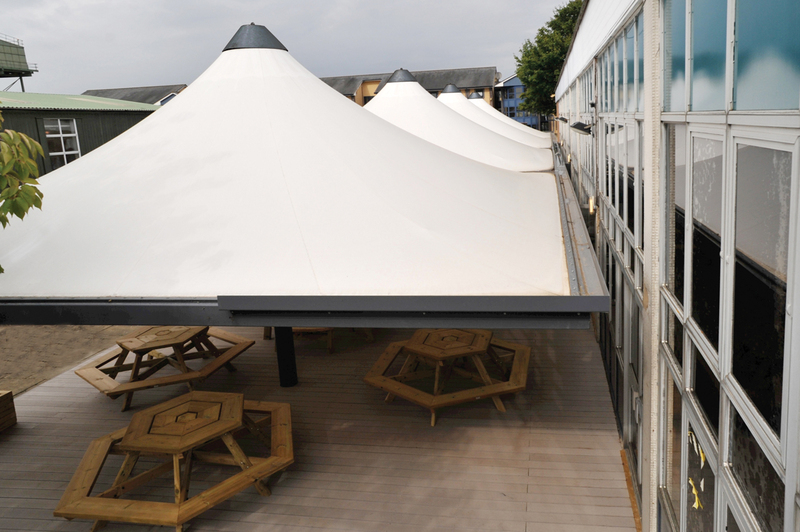 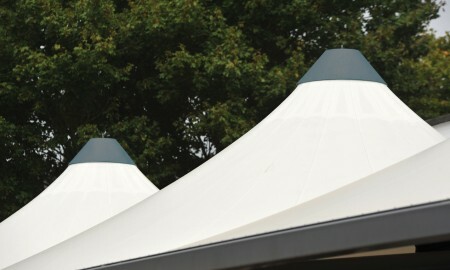 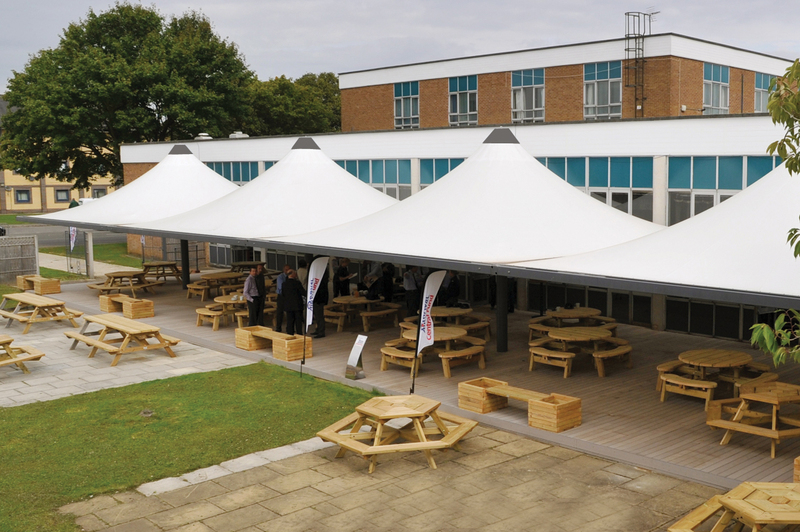 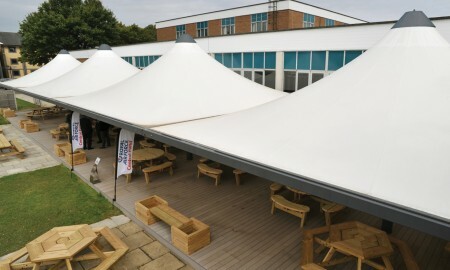 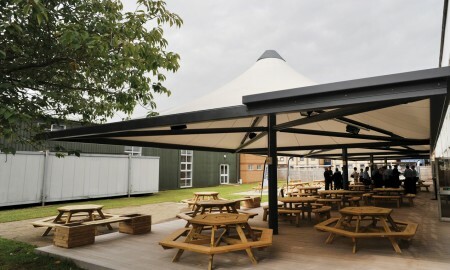 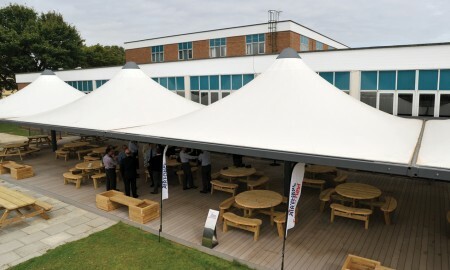 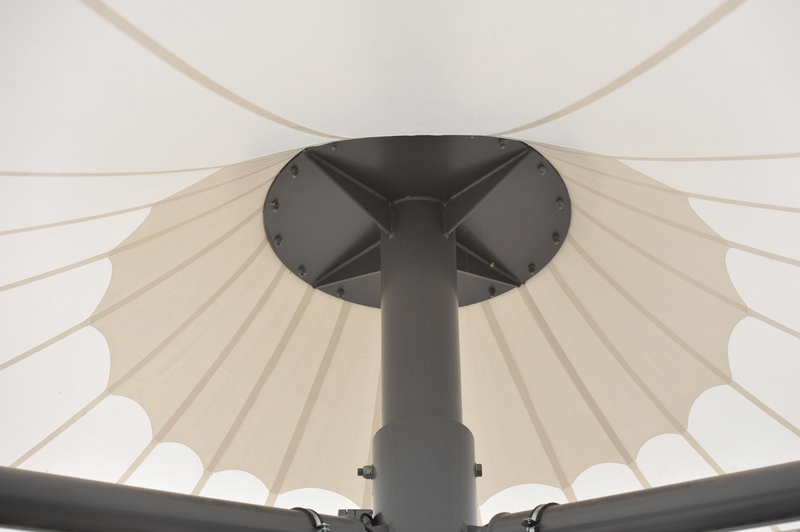 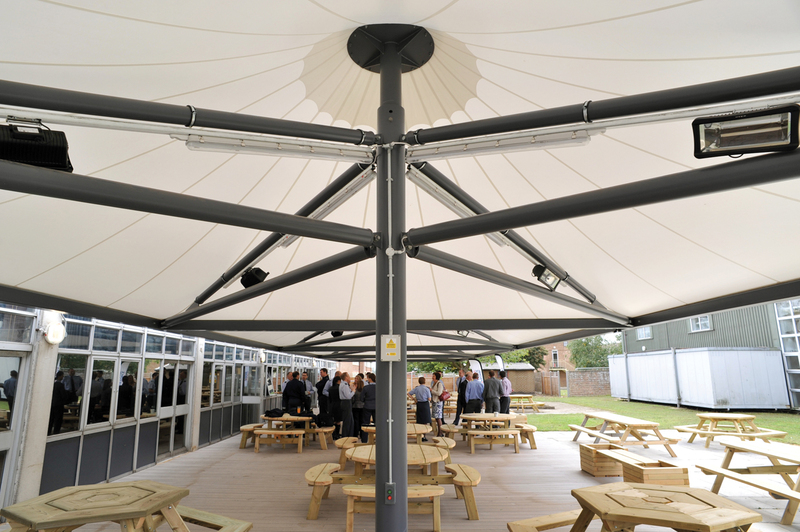 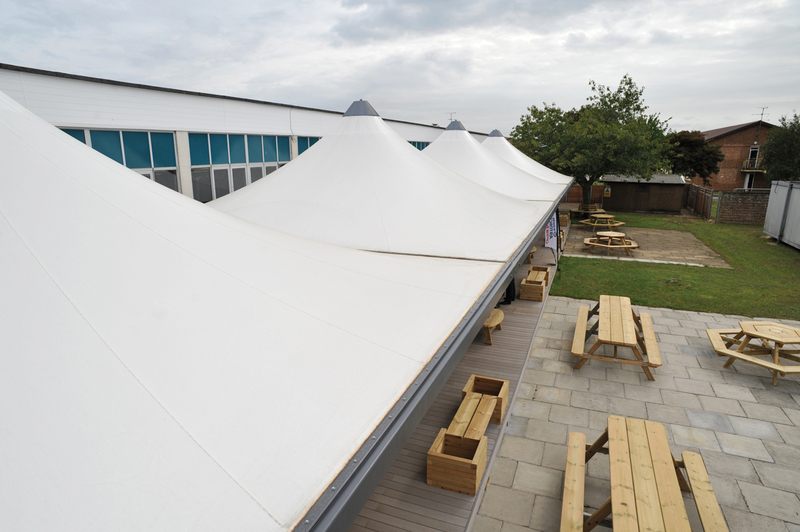 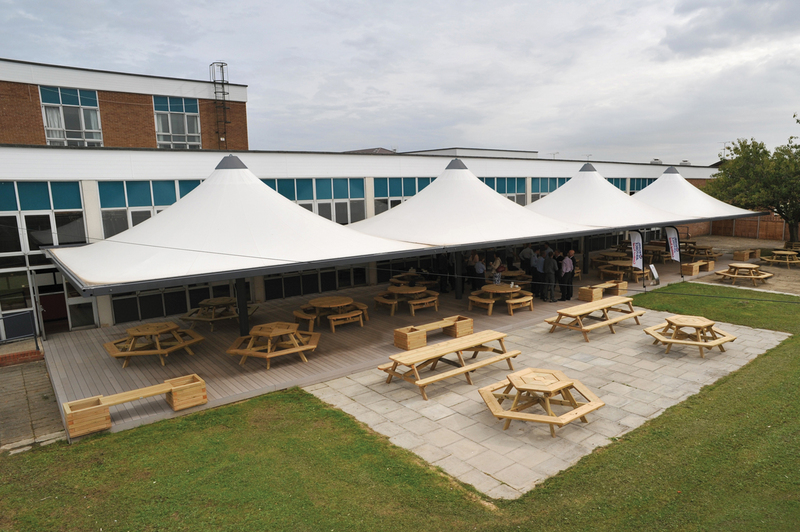 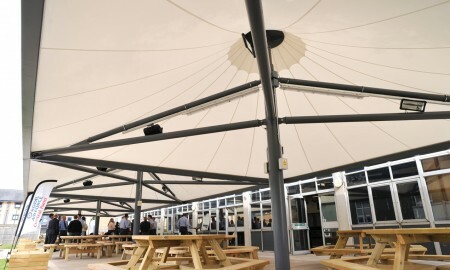 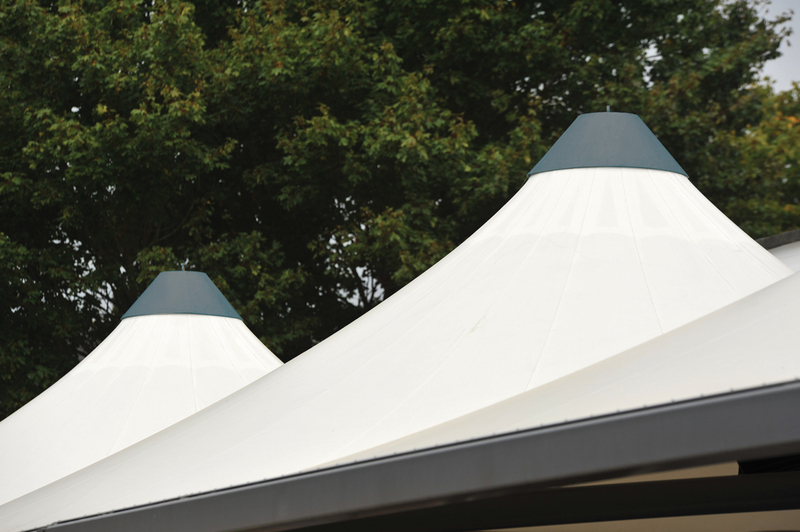 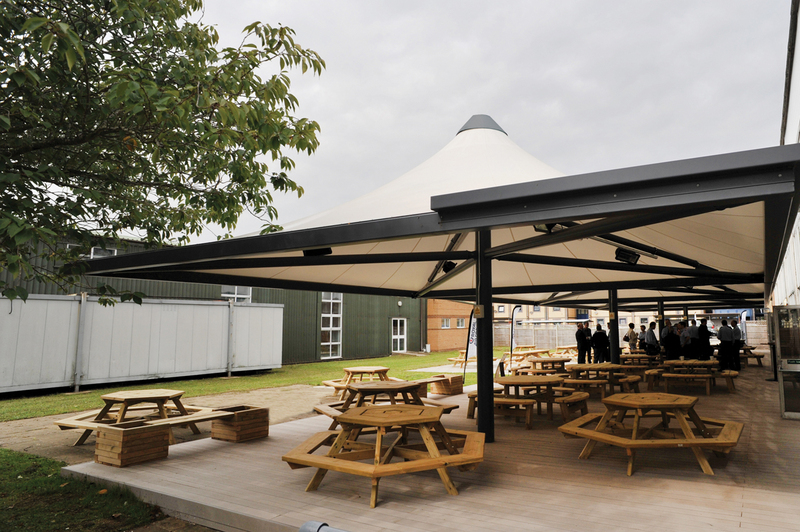 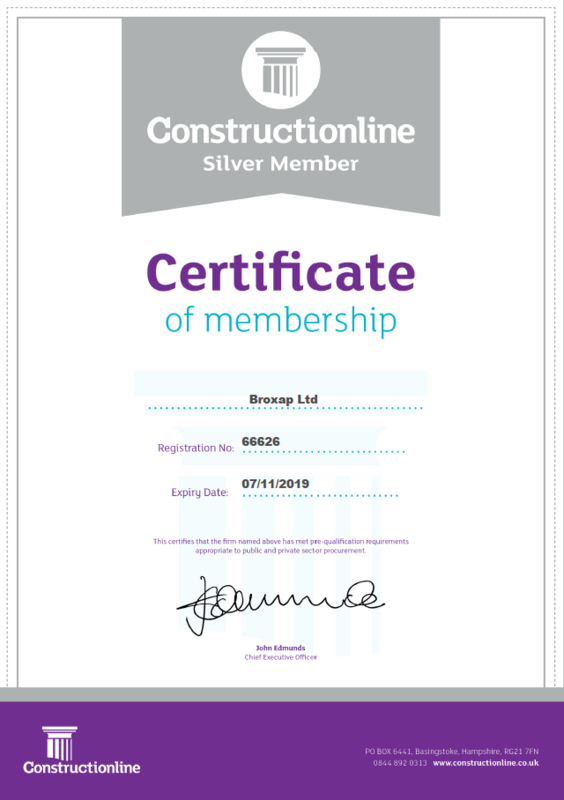 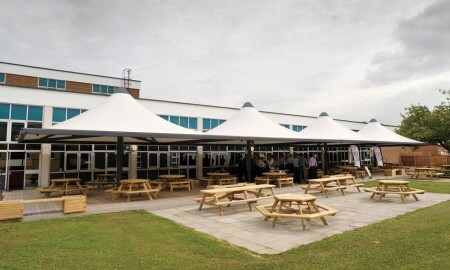 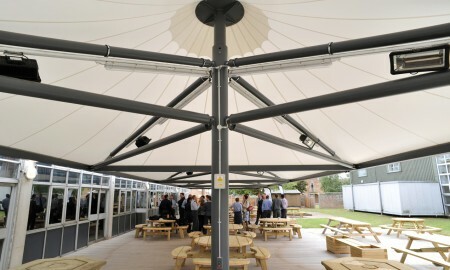 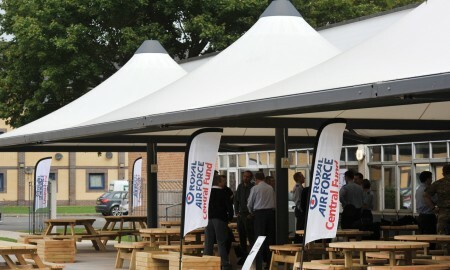 Keep It Kool had to complete a lengthy security application for our installation teams in order to gain access to the RAF base, once these were approved the installation was scheduled and the tensile structures installed to the high standards expected. 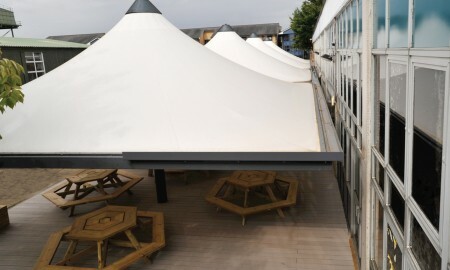 Finally heating, lighting and decking were installed to complete the new Sky Bar Patio area. 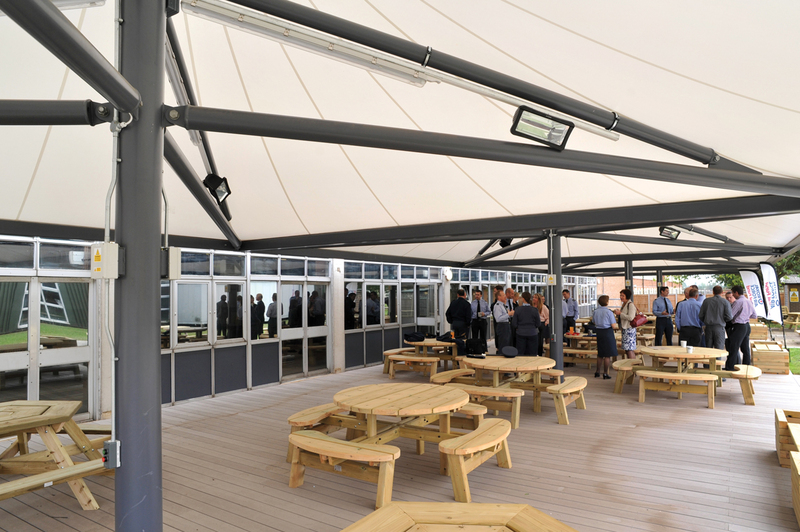 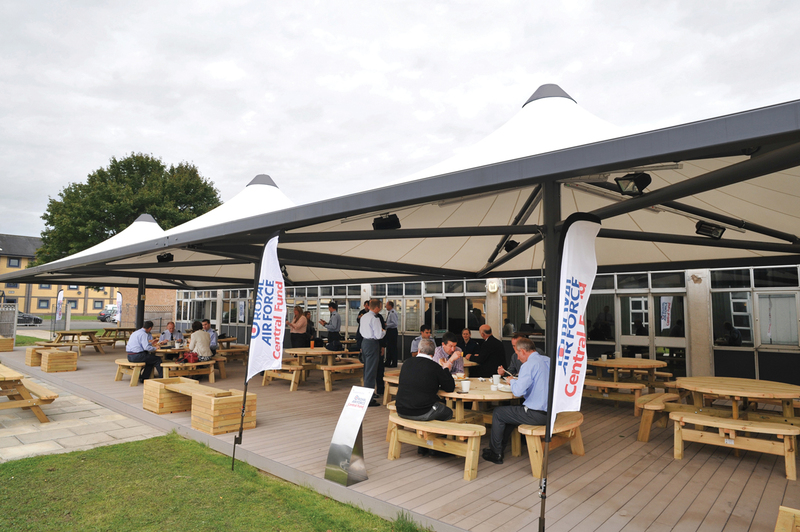 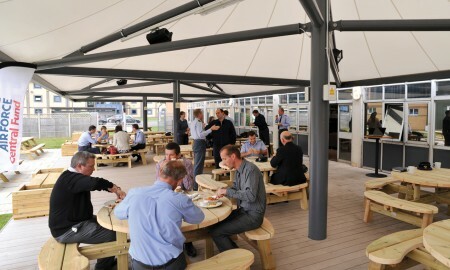 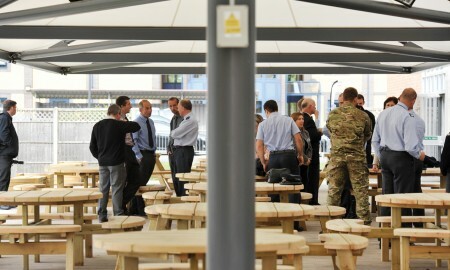 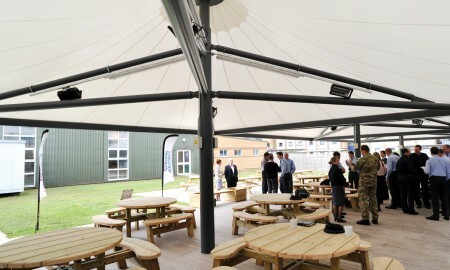 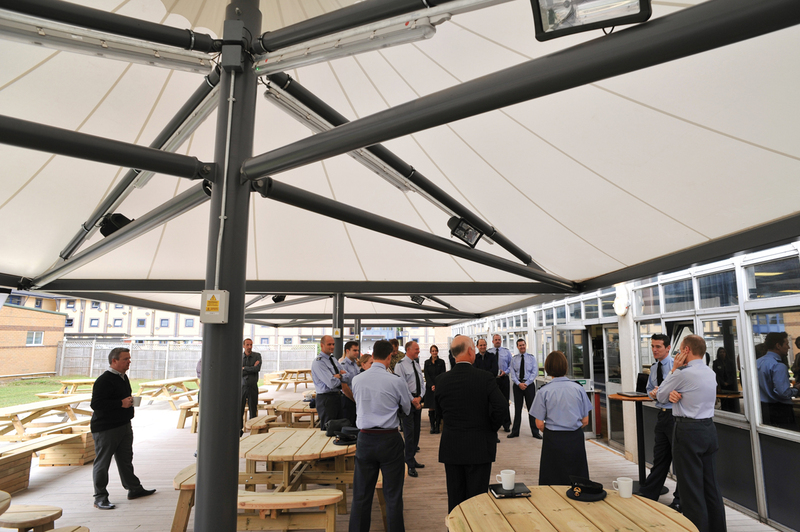 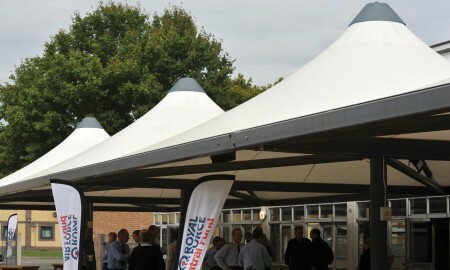 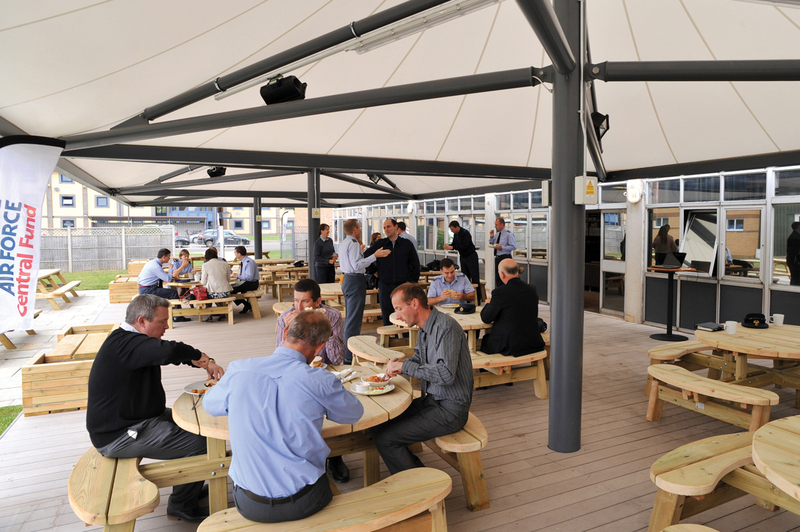 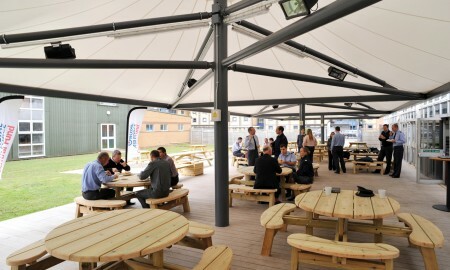 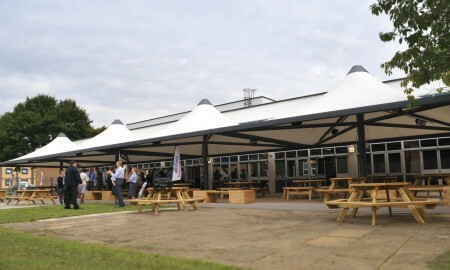 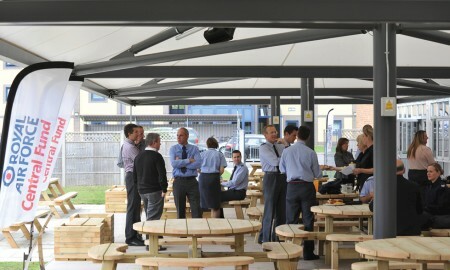 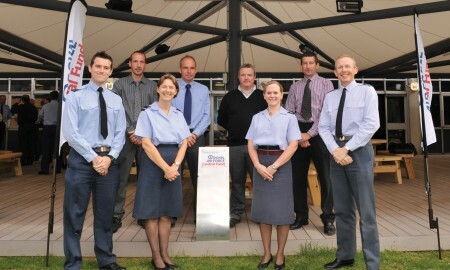 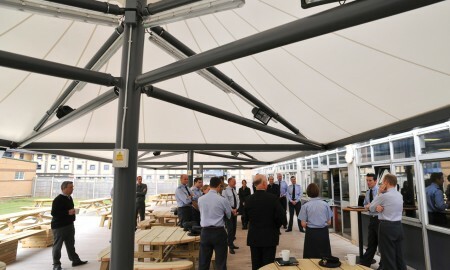 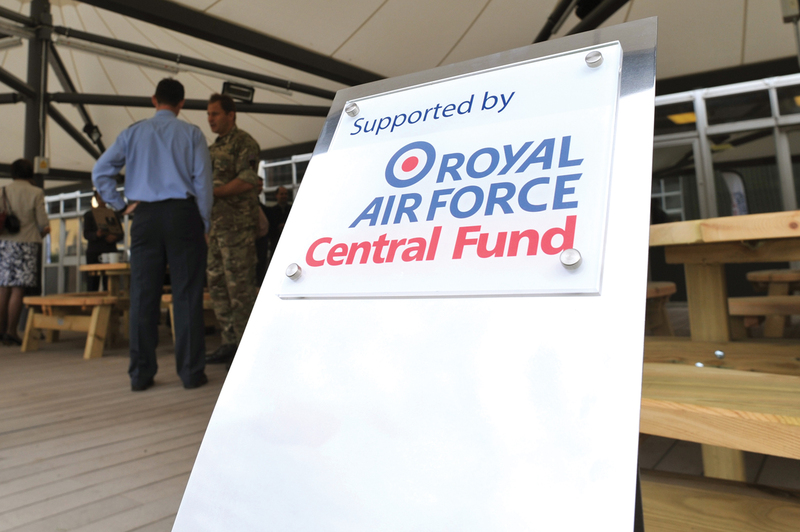 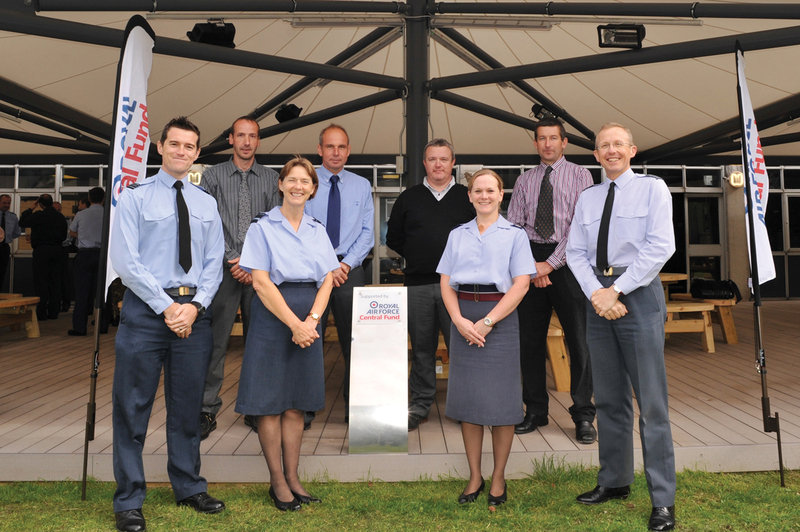 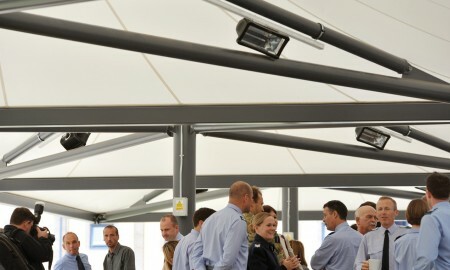 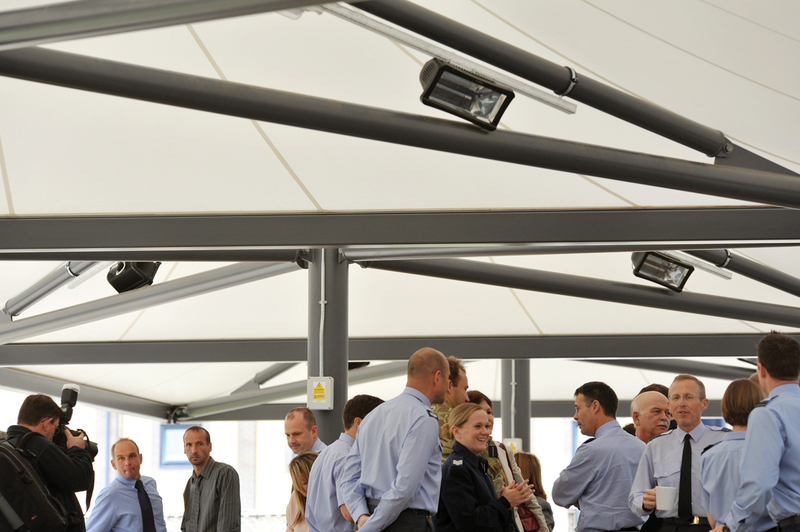 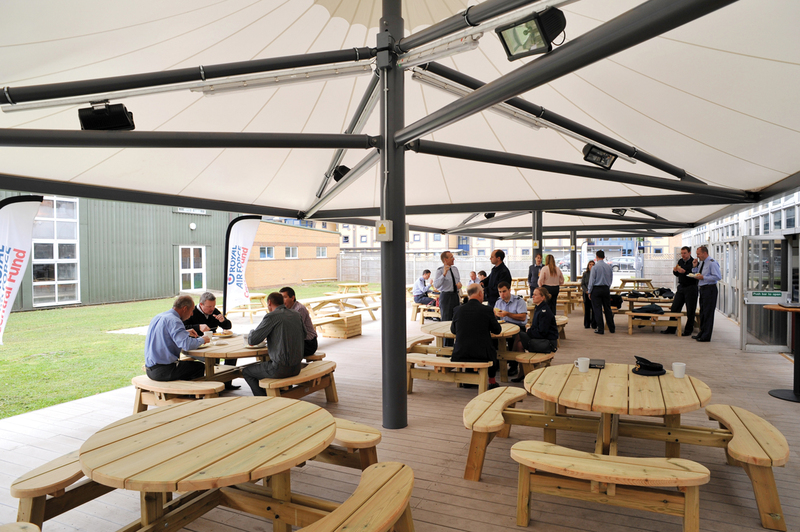 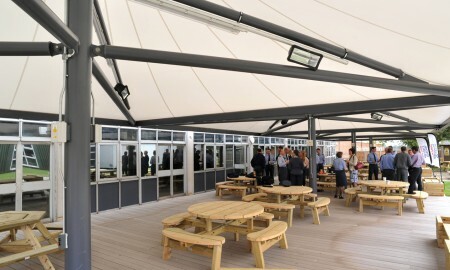 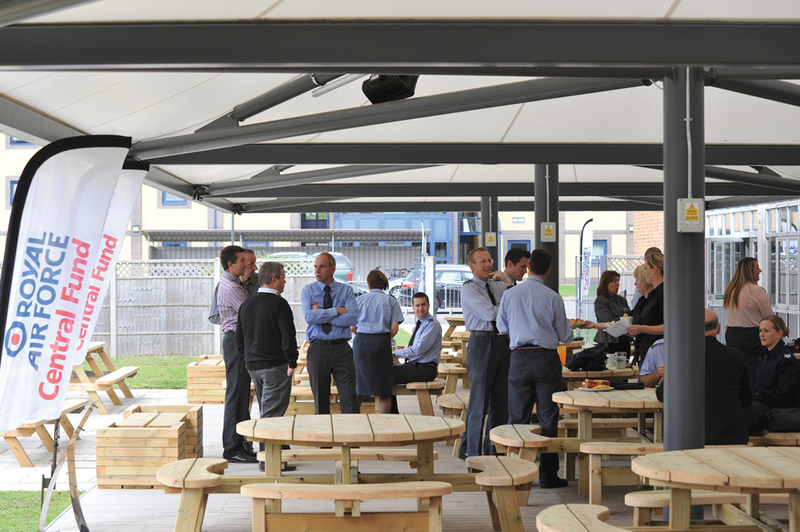 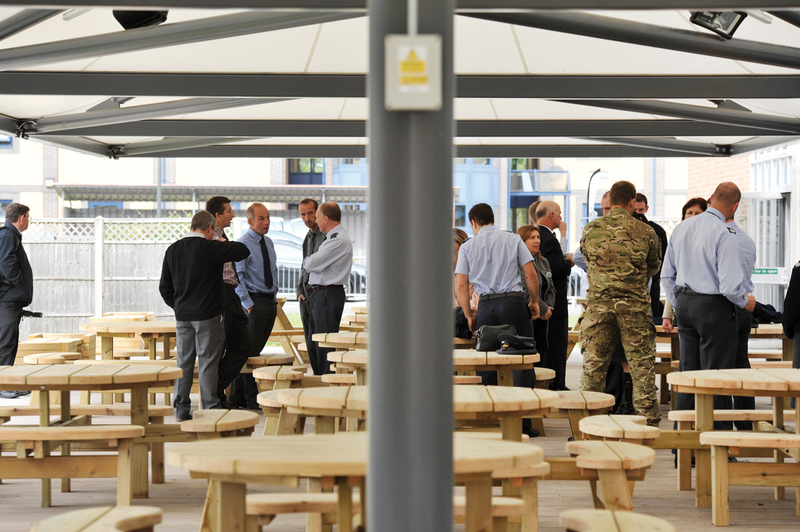 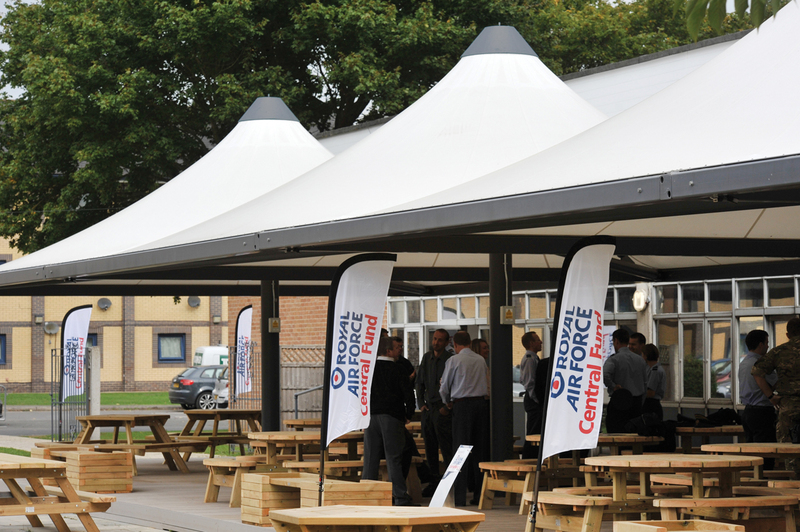 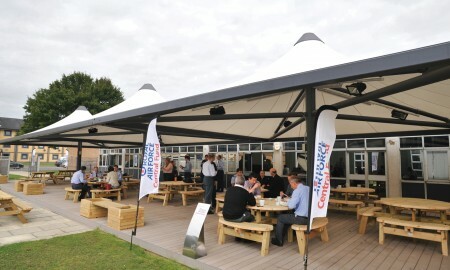 The official opening of the RAF Sky Bar Patio by Sqn Ldr Mike Place and other senior members of the RAF including Air Vice-Marshal Elaine West took place in September 2013 with the unveiling of a Commemorative Plaque.